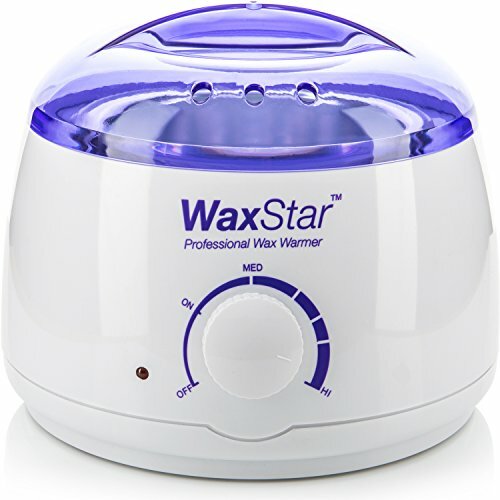 This brand-new wax warmer from WaxStar was designed to provide professional salon-like results in minutes, both at home or in a salon. A fully adjustable temperature control dial ensures you reach the optimum heat required to melt any type of wax, and its robust design and build quality will ensure it remains a vital part of your beauty kit for many years to come. It is perfect for both men and women and is ideal for the bikini area, back, legs, arms, face, eyebrows, armpits, beard and any other areas suitable for hair removal. Compatible with all wax: It quickly, safely and efficiently melts all types of wax including hard wax, paraffin wax, warm wax, crème wax, strip wax and wax beads for quick and easy hair removal.